At McSorley’s, honor, respect, and tradition live and breathe in unique ways: Back in 2002, on the first anniversary of 911, at 3:43 PM, Richie Schmidt stood atop the bar and gave the most loving, poignant speech about the brotherhood ever heard. The sawdust covered floors soaked up more than spilled ale. In tribute to Richie Schmidt, the FDNY and the NYPD, and to all who serve selflessly to protect, McSorley’s artist Gregory de la Haba created the sterling silver McSorley’s Firemen Helmet with the hopes that the honorable deeds of those who put their lives on the line each day, and to those who gave the greatest sacrifice, will be remembered each day —a tangible tribute to Never Forget. Pendant in Sterling Silver with a Sterling Silver 20″ chain. A portion of the proceeds to benefit The Silver Shield Foundation. A super short video of me making coffee using an Aero Press. Following SuzyMae in drag and Leila unicorn pup around the park. The Turtles Mott and Orb all grown-up, time to move them to The Turtle Pond Central Park. This is their adventure traveling from the East Village to the Park. Screwed up the settings, but I decided to post it anyway. Shot yesterday for McSorley’s 162 anniversary. It’s a bit shaky, shooting video and shooting stills at the same time is hard to handhold. 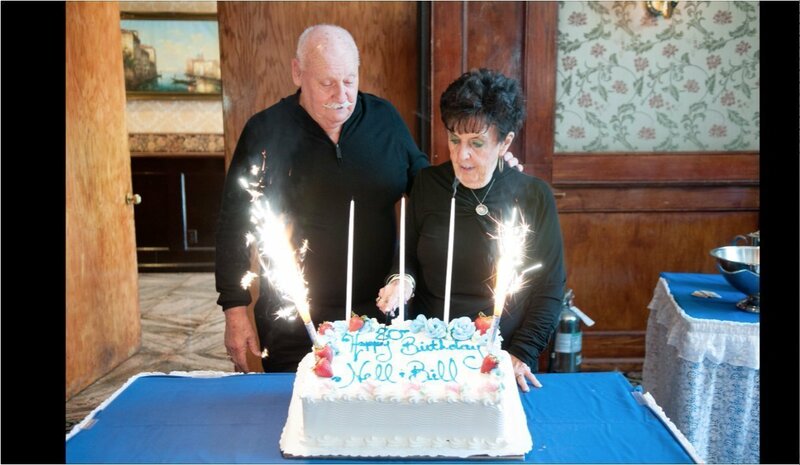 Bill and Nell’s 80th Birthday cake animation. Kassandra Performing at the Bitter End NYC!